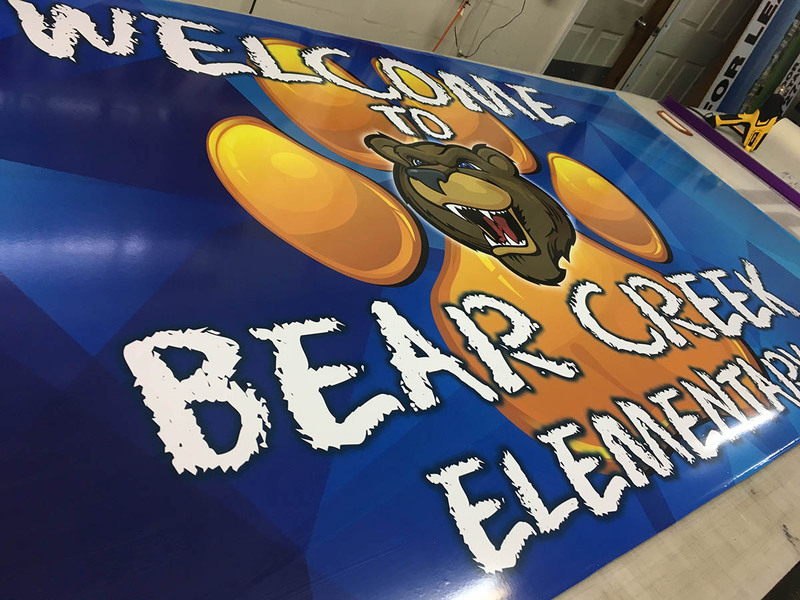 Home > Branding Packages > School Beautification Signage for Bear Creek Elementary! 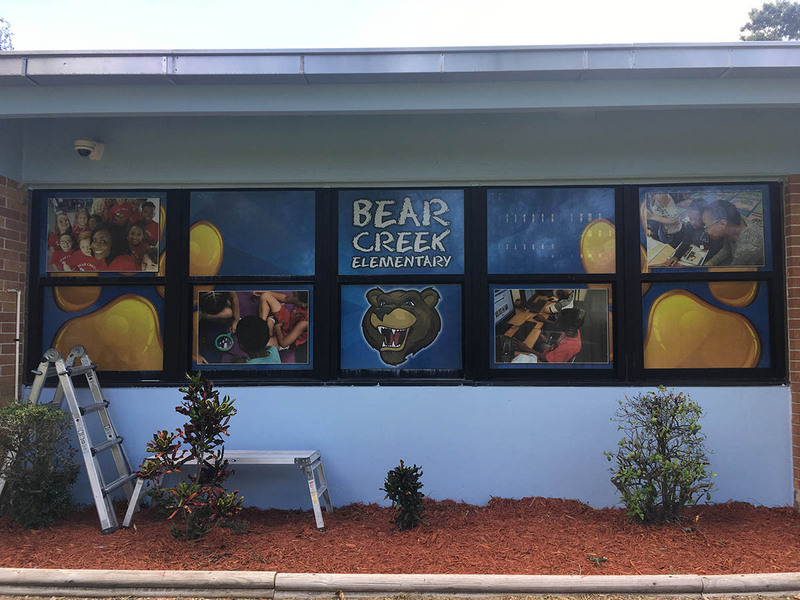 06 Sep School Beautification Signage for Bear Creek Elementary! 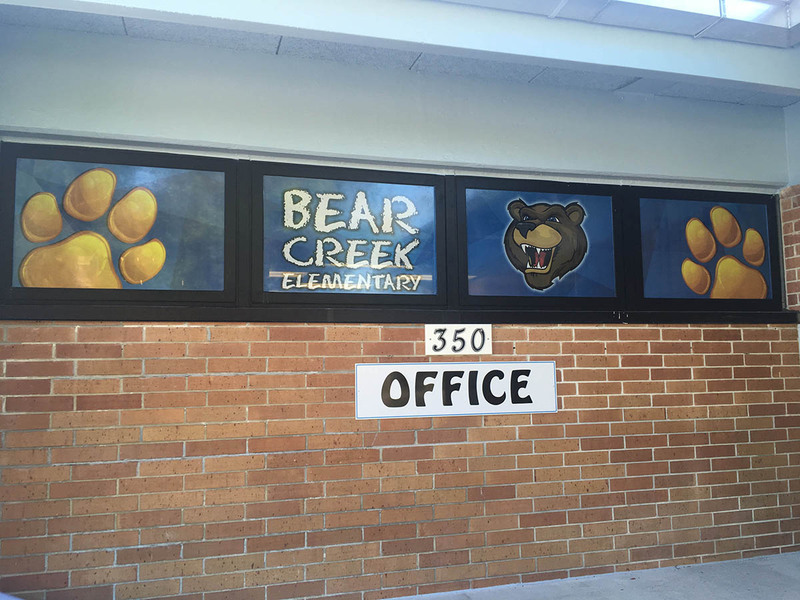 Bear Creek Elementary came to us recently with an idea to brighten up their school. Vice Principal Nikishia Dixon wanted to start the new school year off with a bright bang! She felt the walls were a little bland and didn’t represent the school’s personality. 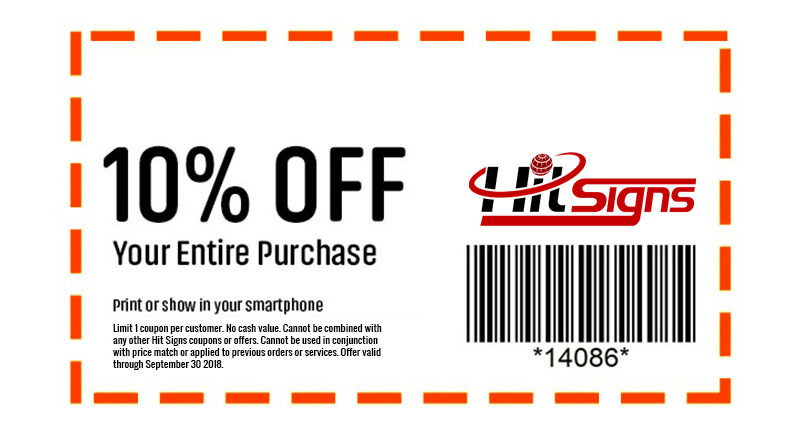 We are always up for a challenge here at Hit Signs so we enthusiastically took on her request! 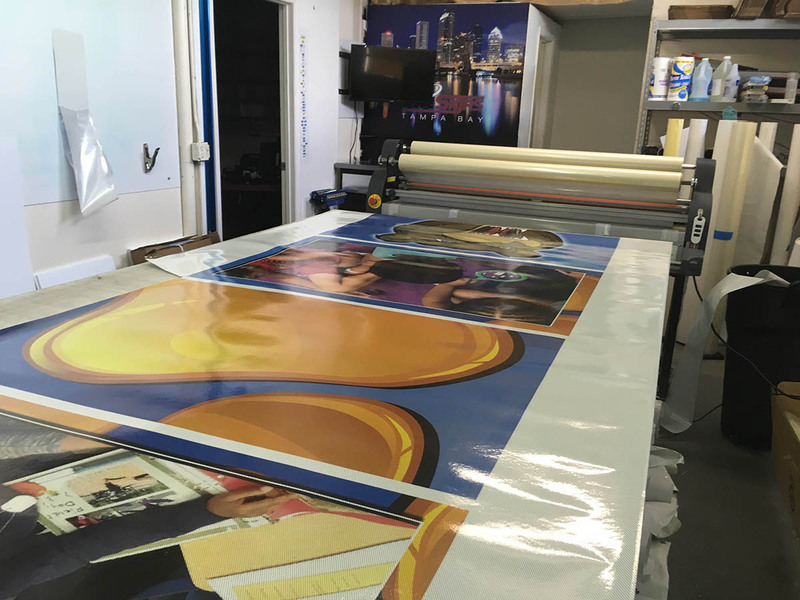 After meeting with Nikishia and getting a feel for what she wanted, we decided to do multiple size sign panels including two custom routed logos. 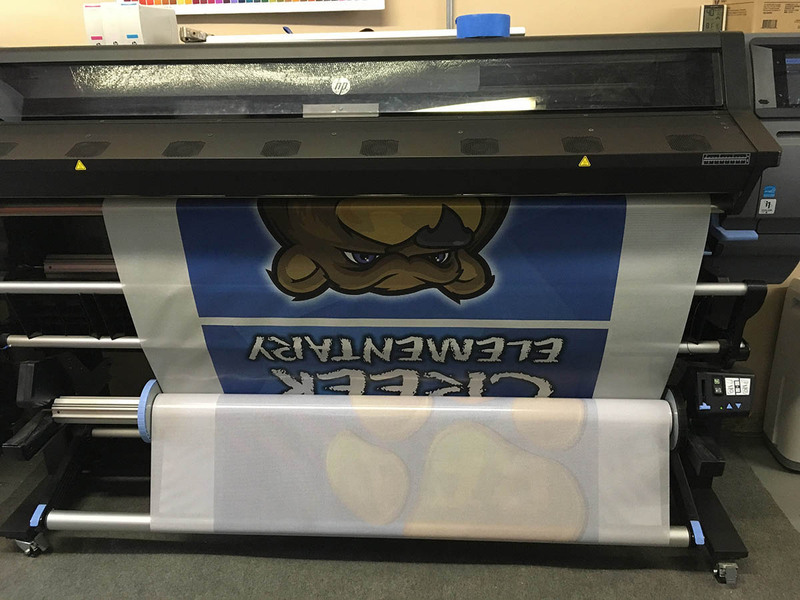 We updated the schools entire visual identity then matched the colors to flow with the schools fresh new paint job! 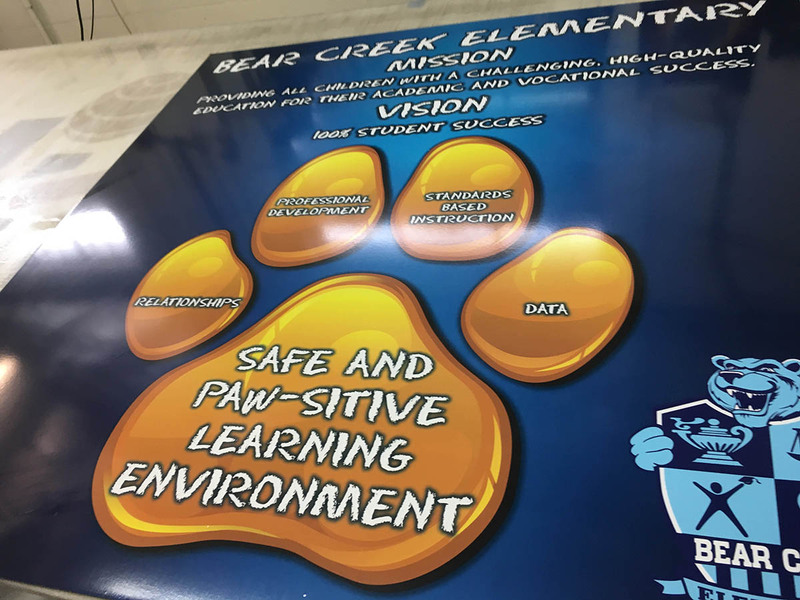 We put Bear Creek Elementary’s vision and mission statement on several panels throughout the school for a daily reminder. Even the office windows were jazzed up so this place really pops! For a more personal touch Hit Signs design team put pictures of the current students throughout the entire project. The school makeover was a HIT as you can see in the photos and video below! 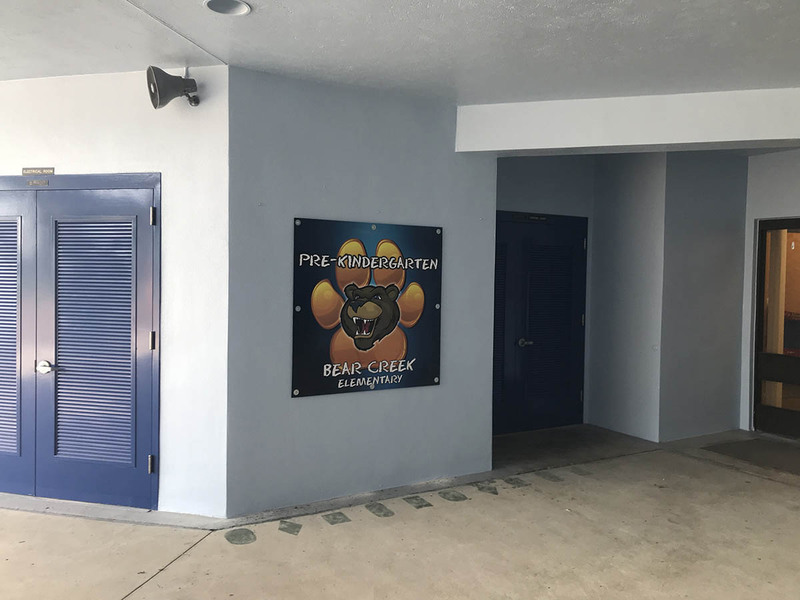 When your visiting or driving by Bear Creek Elementary School take a look at this amazing improvement! 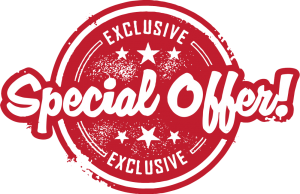 If you school or business is looking for a fresh facelift contact Hit Signs today and let us take your look to the next level!